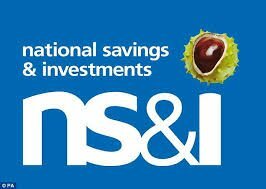 National Savings & Investments (NS&I) has cut interest on four of its variable rate products. The cuts came into force on May 1. NS&I says the cuts follow on from the Bank of England’s base rate cut to 0.25%, a reduction which occurred last August. Clearly it has been in no rush to react. The changes will leave Income Bonds and the Direct ISA both paying just 0.75% interest, well below the latest (January) 2.6% rate of RPI inflation. The cuts will once again remove NS&I from the top rungs of the league tables where, unusually, they have been for some months. By shaving 0.25% off its current rates on these two products, NS&I will be cutting the income payable by a quarter – one of the curious knock-on effects of a world of ultra-low interest rates. Premium Bonds will suffer a smaller cut, with the annual prize fund rate dropping from 1.25% to 1.15%. To deal with this – which equates to an 8% drop in total prize money payments – the distribution of prizes will be altered once more. The share of the prize fund going to large (£5,000 and over) payouts will be unchanged at 5% of the total jackpot. NS&I estimates that the number of large prizes will drop from 111 in February 2017 to 89 in May 2017. The total number of prizes in both months will be over 2,200,000 and the odds on winning, 1 in 30,000. There are still plenty of opportunities to earn an income well in excess of NS&I rates, but, as ever, advice is vital to balance income and risk. As a general rule, the higher the income on offer, the more risk needs to be considered, whether in terms of being locked in for a long period or losing capital security. To talk to use about National Savings & Investments, and investments in general, please get in touch with the Hartsfield team. For our free ISA health check visit ISAHealthCheck.com.